Buttercup Flower – Attractive Shiny Flowers! There is not just one buttercup flower species. Ranunculus is a large genus of the Ranunculaceae (buttercup family) and there are about 400 different Ranunculus species. These pretty little flowers usually bloom in April and May, but they may bloom all summer when right conditions are available. The flowers of the wild buttercups species are mostly yellow, some are white and a few are orange. There is also a variety buttercup hybrids (persian buttercup) that come in all kinds of colours. Ranunculus is Latin and means little frog. This genus is named like this because some species like to grow at or in the water (e.g. marsh marigold flower, swamp buttercup and water buttercup). All species are poisonous and may be harmful for grassing animals. You should be careful if you like to pick buttercups not to touch your eyes or lips. This can cause bad and uncomfortable inflammations (I know from my own experience!). 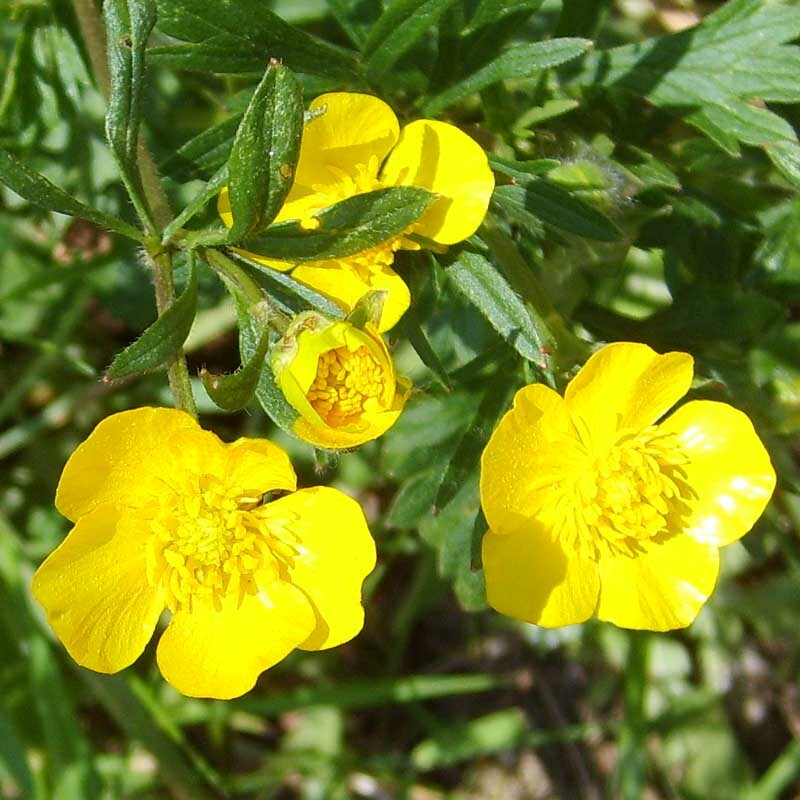 You can propagate buttercups by division in spring or fall if you would like to grow more buttercups.